So Where's The License For Archon Now? React! Games has picked up the license to Free Fall Associates' classic action board game hybrid, Archon, with plans to return the game to its former glory in 2009. We are moving as fast as possible to get it out by fall 2009 (at the latest). Our goal is to get it out on all the platforms, but the only ones that are "officially announced" are the PC, Mac, Linux. Please tell everyone to register on the forums and give us your two cents...we are using the forums to help guide us in making this game for the fans. So every opinion counts! You heard the man! Go hit up the React! forums to let them know where you want Archon to show up! React! Games signed a license deal with Free Fall Games to develop the Archon title across multiple platforms. The original Archon game, made in 1983 by Free Fall Associates, proved an instant classic with its perfectly balanced gameplay. It was originally developed on the Atari 8-bit computer and was later available on the Commodore 64, the NES, and a variety of other machines throughout the 1980s. “It's a dream come true. After years of pursuing the opportunity to remake this game, we've finally done it. With its perfect combination of action and strategy, this license will appeal to both the nostalgic gamer and the newcomer alike,” says Chad Lee, founder of React! Games. "Archon fans have had to wait far too long to play one of their favorite games on a contemporary machine, but this time we think they'll finally get their wish. We've been inspired by Chad Lee's enthusiasm and determination, and we believe React! Games can do this project justice. 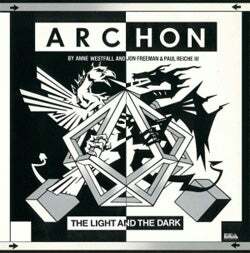 We are eagerly awaiting Archon's return!” says Jon Freeman, cofounder of Free Fall Games. Although development will be across multiple platforms, no details have been released yet. React! Games was created to handle the development of the Archon title with Chad Lee as the Managing Director. Mr. Lee has worked on a previous noncommercial version of Archon called, “Archon Evolution” which had received high acclaim from the community worldwide, even garnering over 300,000 hits on the website before production ceased. Mr. Lee also owns Studio 4d1 Animation which serves the film, television and video game industries. React! Games is a privately owned company.